Today is Bike To Work Day. There are bike “pit stops” all over LA, all doing different things. My goal this morning was to check out the three Pasadena stops. 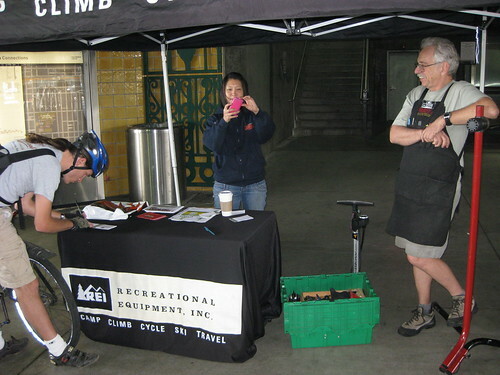 I rolled in to the REI-sponsored stop at the Allen gold line station at about 8:30. They said that they had talked to a lot of riders today. Gift bags and free mechanical checkups were the order of the day. Also picture taking, it seems. I declined the checkup, but gladly accepted the gift bag. Quite excited about the REI coupon — new helmet? 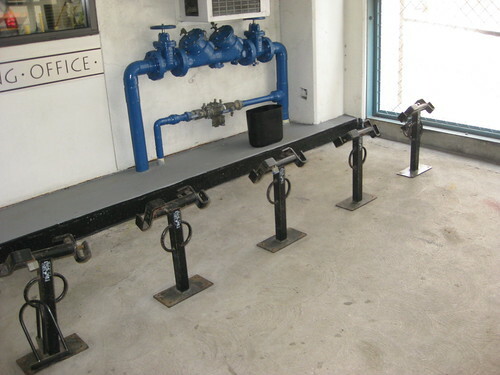 wheel truing stand? 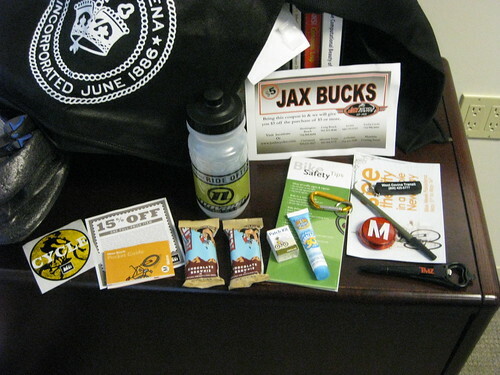 — and the water bottle/patch kit/sun screen. We get out to Claremont often enough that I’ll definitely be able to use the Jax coupon. Those Clif bars look yummy as well. I’m not at all sure what to make of the TMZ-branded combination pen/bottle opener. 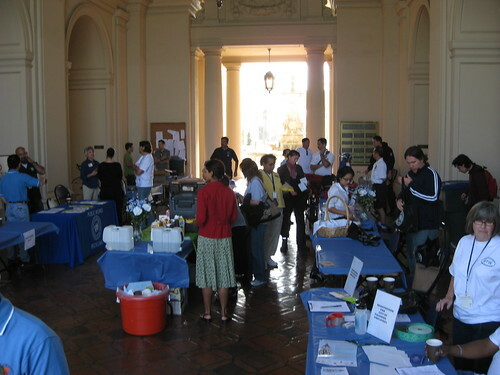 The Pasadena city hall pit stop looked pretty mellow from the street. Inside, though, it was much more of a scene. They seemed much more geared towards letting city and other very local employees know about alternative transit options. Metro and Fuller had tables set up. I think Pasadena Cyclery was holding a drawing for some sort of Gary Fisher city bike. I really wanted to hit the South Lake pit stop before it closed, though, so I grabbed the nice shopping bag they were offering and was on my way. Unfortunately, I couldn’t find the South Lake stop. I rode up and down the street from Colorado to just south of California and back. Nothing. I guess it was getting on towards the end of the time they were to be there. Perhaps they packed up early? Awesome! Traffic was something awful today; made me wonder if REI had orchestrated it with the city of Arcadia to encourage more bike commuting. You know, I’ve heard that from three people now. Maybe there was some sort of an accident today? Surface traffic usually doesn’t get bad unless the freeways are backed up…. I recommend sticking to the increasingly-difficult-to-find but tasty fruit-based flavors.